Display minute & hour in 12-hour or 24-hour formatFunction of snooze.Function of countdown to display starry night projection (timing from 00: 01 to : 00-59). These night lights are on a first serve basis so be quick. 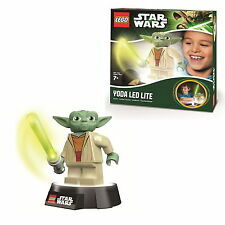 These are great we lights for kids bedrooms or for just around the house. They would be a great gift for kids or adults. Jurassic World Colour Changing Dinosaur Light Projector The Jurassic World light projector creates epic images of terrifying dinosaurs all over the bedroom walls and ceiling. Not only is it a great visual attraction, but it also creates a fun alternative night light with the colours green, blue, red and clear. Star Master Projector Kids will think they've gone into a galaxy far far.....away Fun way of getting children to sleep Turns any rooms into a star wars galaxy ! WE ARE A GENUINE UK VAT REGISTERED COMPANY Description: -Interactive nightlight for kids - Projection technology reflects a star universe on your walls and ceiling - The 12 months of the year can be rotated to select the star constellation of your choice - When you press the LED switch you will see the stars in the sky - When you press the STAR switch, you will see the universe - Arrange the Design as per the Calender Month - Powered by 3 x AA batteries (not included). 3D Football Light. A plastic half-football light that is wall mounted. 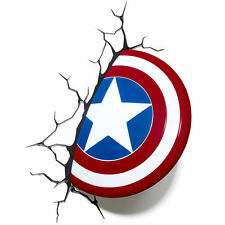 It has the appearance that it is coming through the wall. There are a few light marks, but it is fully working. Paw Patrol Nightlight Projection. Condition is New. Dispatched with Royal Mail 2nd Class. It is battery powered and so therefore cord-free allowing you to place the light where you wish. Lit by an LED light and is so cool to the touch. When it is not helping your little one drift off to sleep, it makes a lovely decorative accessory too. Peppa Pig Illumi-Mate Night Changing Light - Kids Bedroom Soft Lighting. Condition is Used. Dispatched with Royal Mail 2nd Class. With 3 batteries. 4 out of 5 stars - Peppa Pig Illumi-Mate Night Changing Light - Kids Bedroom Soft Lighting. 14 product ratings14 product ratings - Peppa Pig Illumi-Mate Night Changing Light - Kids Bedroom Soft Lighting. 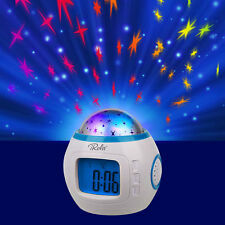 IGlow - Battery Operated LED Colour Changing Bedroom Night Light Glow Lamp. Comes complete with 4 AAA batteries. 15 cm Tall. 6 cm Round. Glows and changes colour. Morphing through the spectrum of colours. LED Light. Cool to touch. Great little bedroom night light..
Peppa Pig Illumi-Mate Night Changing Light - Kids Bedroom Soft Lighting. Condition is Used. Dispatched with Royal Mail 2nd Class. 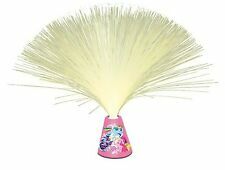 New Look Unicorn LED Light. Condition is New. Dispatched with Royal Mail 2nd Class. 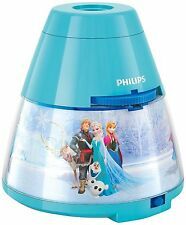 Disney Princess Led Light Projection Lamp. 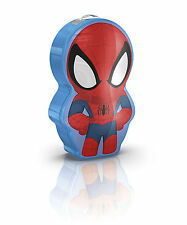 An amazing Night Lamp for Kids Bedroom. Perfect for Disney Princess Fans. Makes an ideal gift for your daughters who love Disney princess! Child's small hand-held torch, an essential piece of school science equipment. Excellent school resource for simple science experiments with LIGHT / SHADOW & ELECTRICITY. Also great fun piece of kit for the young "intrepid explorer". With simple to use on/off switch, hanging hook and 3cm lens. Comes in 4 vivid shades: green, blue, red and yellow - if you have a preference please get in touch. PLEASE NOTE - price is for ONE torch. Size - 15.5cm Requires 2 x AA cell batteries (not included). 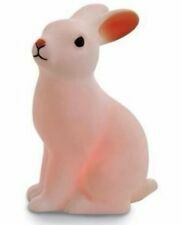 WHITE RABBIT LED NIGHT LIGHT. BUNNY CUTE BEDROOM DECORATION. WEDDING PARTY BANNERS. Caution: Not suitable for children under the age of 3 years. FLAMINGO WATERING CAN 1.5 LITRES. Price: £8.95. Quick view. White hedgehog nightlight. - woodland animal design. Back light function. Weight: 116g. Four natural sound songs and six chord songs for you to choose. Function of snooze. Display minute & hour in 12-hour or 24-hour format. Colour: White & blue. Glo-e Magical Light Up Multi Colour Changing Cuddly Bear Night Light 15"